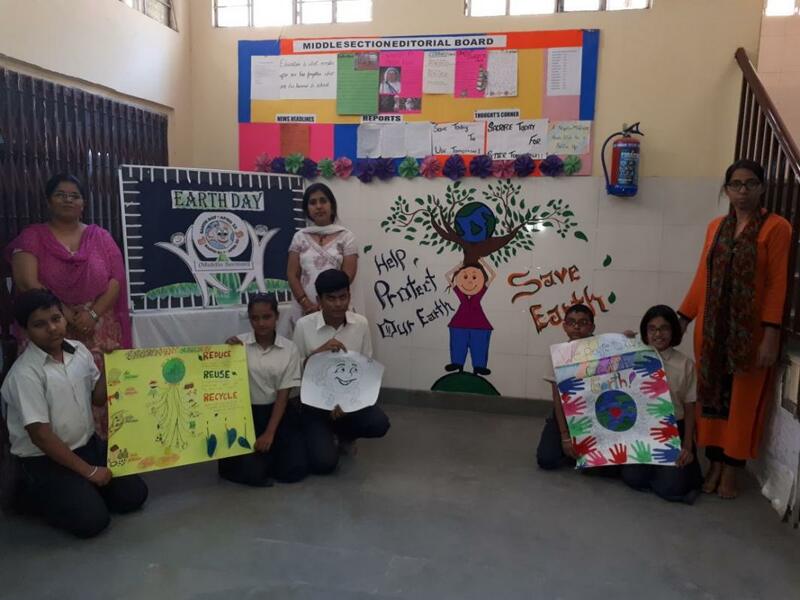 St. Edmund's School organized "Earth Day Celebration"
JAIPUR, India - April 29, 2018 - PRLog -- To sensitize the children to become the crusaders for environment conservation, St. Edmund's School, Jawahar Nagar organized "Earth Day Celebration". The theme of this year's Earth Day was decided, keeping in mind current Clean India and Go Green Mission. The tiny tots planted saplings in the school premises. Children also participated in creative activities like slogan writing, poster making, article writing displaying their artistic and linguistic skills while showcasing their awareness about conserving natural resources. School Director Dr Sudhir Singh in his address reminded children of their responsibility towards Mother Earth and administered a pledge to protect and save our fast depleting natural resources. Our school prepares students to understand, contribute to & succeed in a rapidly changing society & thus make the world a better & more fast place. Our vision aligns with shifts in global economy, society and environment which animate our mission & our values. Creativity innovation and a desire to challenge the status quo, both in what teach and in t he intellectual ambitions of the school itself.